4. the performances are to create an interest and desire for others to learn WCS. 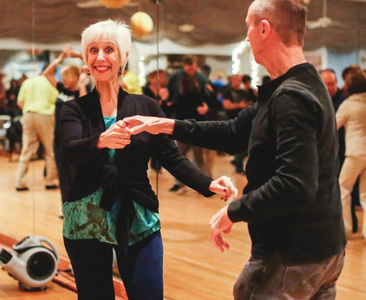 As participants, your obligation is to be a “Dance Ambassador” at the dances you attend: TBWCSA dances, Floorplay dances, and at Hugo & Stacy’s dances for the period that you are in the DA Program. 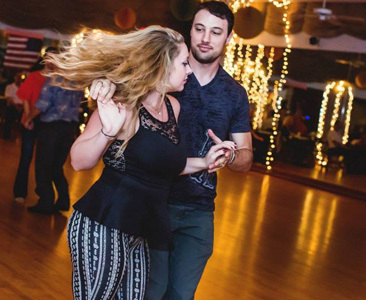 Dance Ambassadors will ask 2 to 3 people to dance per 1 hour of social dancing, that are new, visiting, people that they do not usually dance with, or those who are not dancing. This amounts to 8-12 minutes each hour that you are present at the dance. WHAT is the DA Program?? 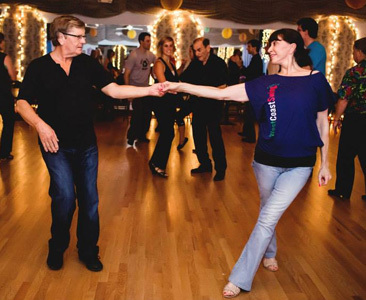 A program sponsored by TBWCSA to improve the level and precision of dancers involved through choreography. Various members of this team will be performing at local dances and other dance events, however this is not a competition team. WHAT do you have to do?? 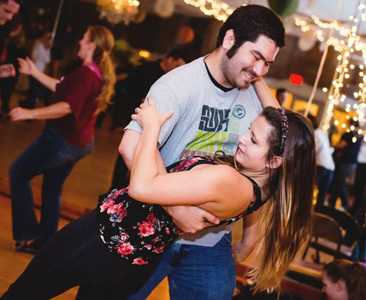 • Pledge that you will dance with 3 newbie dancers and make others feel welcome at all dances that you attend. 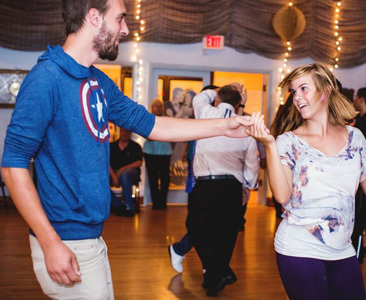 WHAT about my dance partner/wife/husband/boyfriend/cat?? • SOS!! (“Significant Other Supporters”), who can essentially be “Alternates”. They can come to the classes, learn the routine, but will not be put into the group performances, unless we need extra people. WHAT does Team Choreography look like?? HOW do I sign up?? • Contact the President@tbwcsa.com to find out the details for the next Dance Ambassador program. • You may audition with 2 partners and also without a partner. All in groups of 3. • In the choreography, there are formations, and possibly switching partners. • The choreography will be good enough for WCS Team Competition events. • After you learn the choreography, the “technique” layer will be added and perfected; and finally the “performance” skills will be refined. • You have to pre-pay for the program once you’ve made the team because we need to ensure that the entire program will be paid for whether you come to the weekly practice or not. Besides it comes out to $25/month or about $6/lesson. 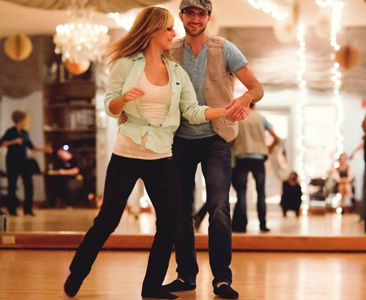 It is a great deal for dance intensive training. • There is NO requirement to participate in All the performances, just the ones that you can. • You may need to arrange for private lessons if you cannot keep up with the group, or cannot get a particular technique or pattern. The cost for these lessons will be in Addition to the initial fee, and will have to be worked out between you and the instructor. • DAs may want to participate in additional practices, particularly before performances, with or without an instructor. These will be an additional cost, divided equally between the participants.